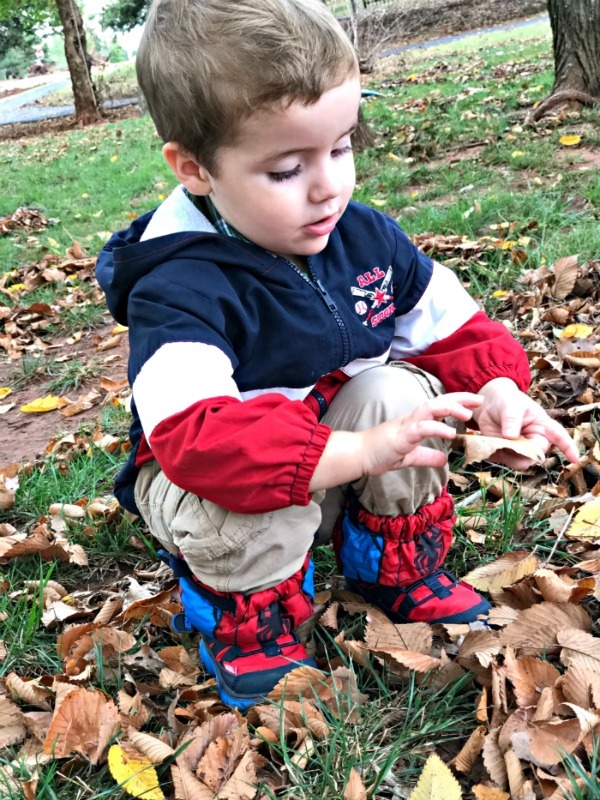 Lunchbox Dad: Make Sure and Take Advantage of This Fun Part of Fall! 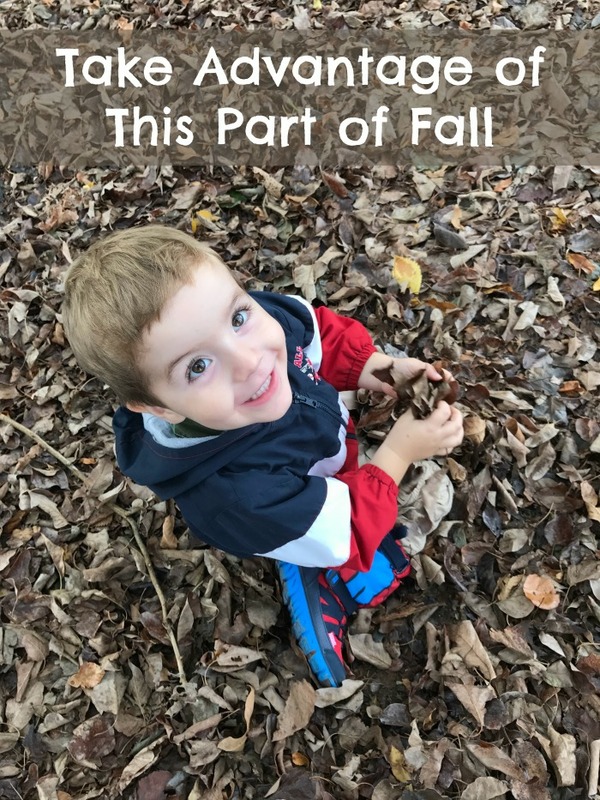 Make Sure and Take Advantage of This Fun Part of Fall! 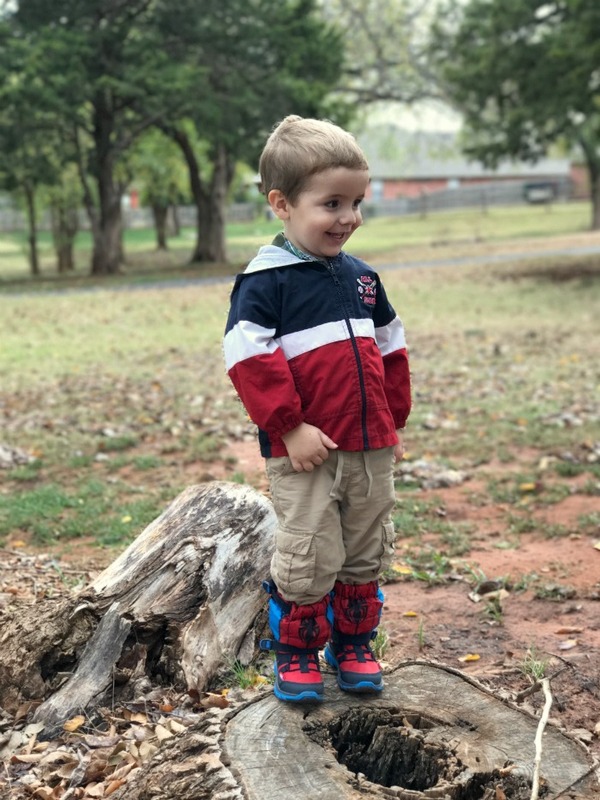 This is a sponsored post in partnership with Stride Rite. All opinions are my own. There is much more to Fall than wrapping your hands around a pumpkin spice latte. If you're a parent, this time of year brings some of the most fun you can have with your kids. This year has been unseasonably warm so we were excited to feel the chill in the air this past weekend. It finally feels like Fall so we decided to take advantage, pull on our Snoot boots, and head outdoors. dress the part. Before we went out, we made sure we had on long pants, light jackets, and our Snoot boots from Stride Rite. We love these boots for our kids because they keep their feet dry and warm, but fit almost like a sneaker so our kids can stay active. We took about an hour and walked down to the local lake. 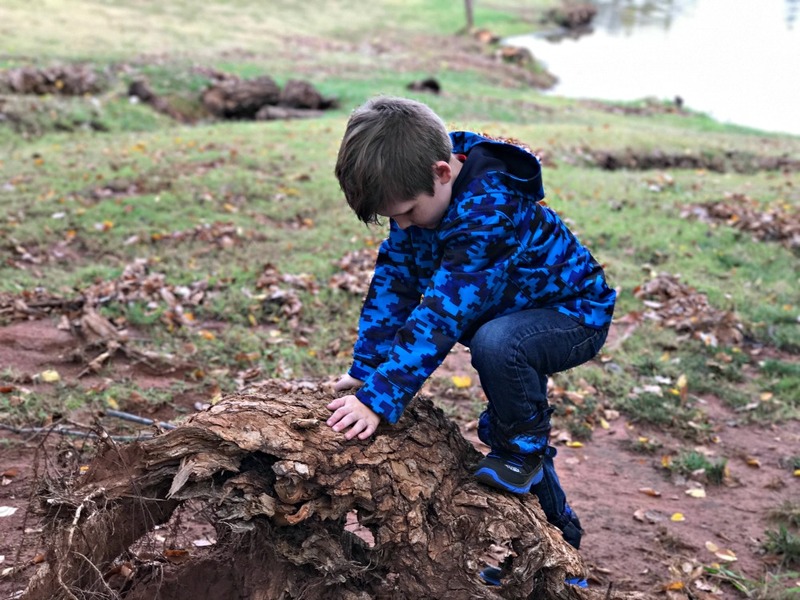 The first thing my boys had to do was climb up things like this stump and jump off of them. It was a little muddy but that didn't stop them. We live in an area that is basically all red clay dirt so we are thankful that we could throw everything, even the Snoot boots, into the washing machine. Of course, when you are at the like you have to try and skip rocks into the water. 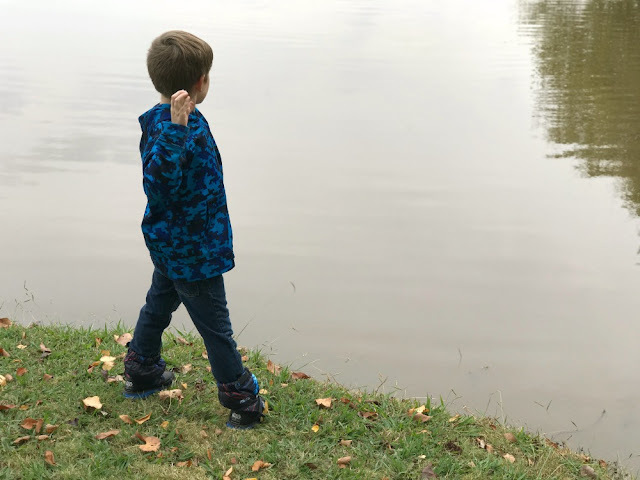 My kids haven't perfected the art of the skip yet, but with a little more practice, they will. When you are smack dab in the middle of Fall, the leaves have turned colors and most of them are on the ground. These are just too tempting not to jump in and throw around. By this point, we were ready for a break before we headed home. 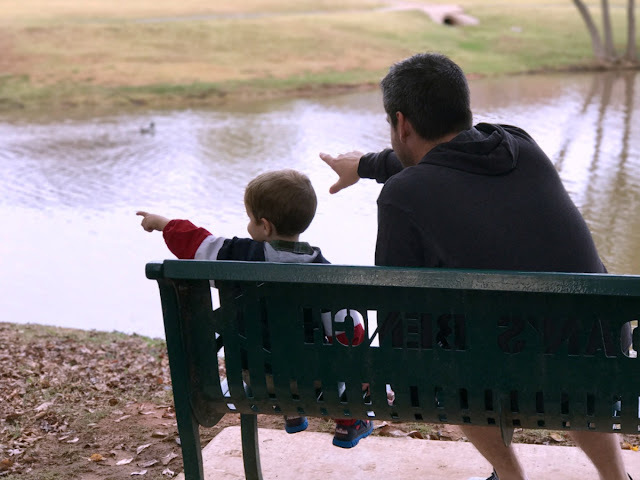 so we took a seat on a bench and watched the geese and ducks. We tried to count them all but I don't know how successful we were. After all the outside fun, we headed home. We were a little dirtier, and a little tired, but also full of autumn memories. Overall, it was definitely time well spent. With a little preparation you can take full advantage this fun part of Fall as well! 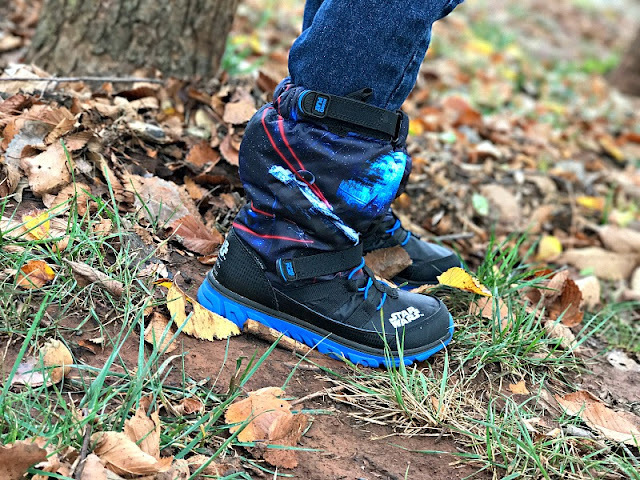 When it comes to wearing the right footwear, we definitely recommend checking out the Snoot from Stride Rite. It is not only perfect for Fall, but because it is water resistant, it is fantastic for winter snow as well. The fun thing is that these come in many colors and designs, such as the Spider-Man and Star Wars Snoots you see in the pictures. You can check them out at your local Stride Rite store or online.